Qualcomm has finally unveiled its next top-end chipset processor for smartphones, the Snapdragon 855 SoC. The new Snapdragon 855 SoC will come with 5G X50 modem and will bring 5G network capabilities onboard smartphones in the USA as soon as in the next year. In an event held in Hawaii, the renowned chipset manufactured launched the Snapdragon 855 SoC which would allow the smartphones to connect to 5G wireless data networks with “multi-gigabit” mobile data speeds ranging from 50 or 100 times faster than the speeds experienced in the current 4G network. According to Verizon Communications and Samsung, the smartphones which would be released in the first half of 2019 will come powered by the Snapdragon 855 and will ship with 5G network support. On Monday, the manufacturer announced that it would reveal more details about the new piece of technology at the Annual Snapdragon Technology Summit in Hawaii. As per the chipset manufacturer’s claims, the Snapdragon 855 will feature the company’s fourth generation, multi-core Qualcomm AI Engine, which will offer three times better AI performance compared to the previous generation platform for mobiles by Qualcomm. The SoC maker also said that the Snapdragon 855 would sport the world’s first Computer Vision (CV) ISP which would enable phones to recognise objects and faces, and thus allow phones to sport new video capture features. When the Samsung phone is launched in the country, it will be posing severe competition to the Cupertino based giant, Apple. Notably, Apple and Samsung have been taking a jab at each other by releasing premium phones in the similar price segment, however, right now, Apple is engaged in a legal battle with Qualcomm. According to a Bloomberg report released on Monday, Apple will probably release its 5G enabled smartphones only in 2020. If true, then this would allow the Korean giant, Samsung to race ahead of Apple in terms of the latest network technology. 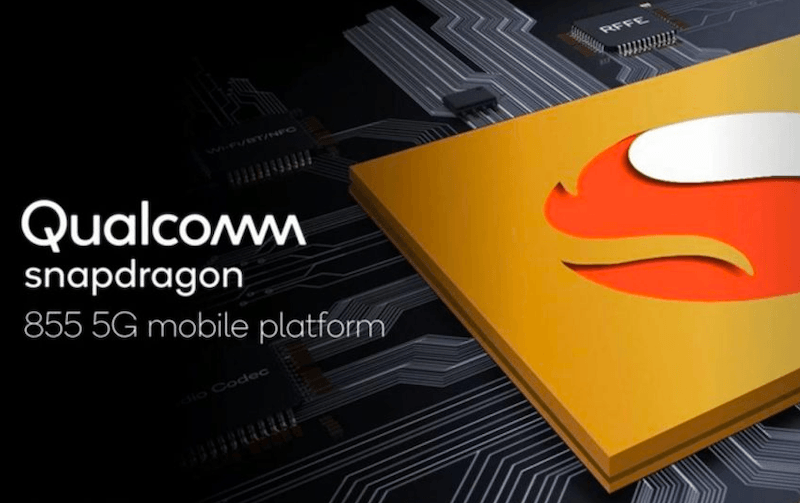 Qualcomm stated that the phones with Snapdragon 855 Mobile Platform would be released in H1 2019.